> Range Rules (S.O.S.) UPDATED MARCH 18, 2019!! The following outlines membership costs that are current with our organization as of Jan 1, 2016. An individual must be a member of an affiliated club, or a member at large. Individual club members receive full privileges in the use of outdoor ranges, indoor range, and clubhouse. All members must sign in at the gate, using their membership number. Individuals will be issued keys to the gate, indoor range & clubhouse at a nominal cost. Individuals must be CSSA (Canadian Shooting Sports Association) members, which is included in the annual membership fee. For use of restricted or prohibited firearms, individuals must be able to show proof of having a Restricted Possession & Aquisition Licence. Individuals must have a valid “Firearms License, PAL or RPAL”. General member is a full voting member (18 yrs. of age, and over). Eye & ear protection required on range, while discharge of firearm is taking place. All family individuals are required to meet all the provisions listed under the “General Membership”. Applies to immediate family only (husband, wife, and their children living in the same household who are under 18 years of age). Family members are full voting members unless under the age of eighteen. Individuals that are at least 12 years of age, and eligible for a beginner’s firearms license, up to the age of 18. A junior member at the age of 18 will be eligible to become a General Member. All individuals between the age of 12 and 18 can only participate in handling firearms and shoot under the direct supervision of a fully licensed qualified General Member. Junior members must follow all safety requirements, including wearing of eye and ear protection. Individuals that are Police personnel that belong to one of the Police agencies that use the outdoor and indoor shooting ranges of the Thunder Bay District Fish & Game Association are eligible be approved as Associate Members. Associate members have use of the facilities in accordance to agreements made through their Police agency supervisory management, and trainers, in conjunction with management of the Thunder Bay District Fish & Game Association. Should an individual Associate Member want to use the shooting ranges and facilities at times not within the Police agencies scheduled times, the person can upgrade his/her Association Membership to a General Membership for an additional cost of $75.00. This charge is for payment of a $45 annual CSSA membership and $30 administration fee. Associate members are subject to liability insurance and other coverage, as provided for under the Police Act. 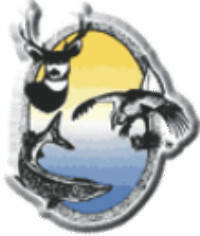 They are not a member of the Thunder Bay Fish & Game Association. They are not a member of an affiliate shooting club, or a member-at-large. They are not an associate member, or an honorary member, (ie. Police Association, Cadet, or Military, with their own insurance coverage). Guests are covered by CSSA insurance, under direct supervision of a paid up member of the organization, and have been given a briefing on the safety rules and governing policies of the organization. These costs are recovered, as well as any administration expenses, by charging $5 per guest, per day. Guest fees will be deposited into the drop box located at the main gate. Spectators are exempted from the guest fee. All guests must sign in on the sign in sheets in the Gate Log Book. Spectators are defined as those representing media, government officials, or any other groups or individuals that are required to, or wish to, visit the property for education, awareness, and other promotion. There are no fees charged or SOS required for these occasions. Spectators will receive a briefing on the range safety rules, from range officer in charge. To provide for Cadets, or for other similar groups of individuals that request use of the property or facilities under direct supervision of an assigned adult individual(s) or member(s) of the organization. Must include having general liability insurance coverage for each individual in the group, whether coverage is provided through Department of National Defense for cadets or a similar provider. All honorary members or approved users must receive a Safety Orientation Session given by the Range Operator or an Assistant Range Operator. All groups will have signed agreements with the organization outlining the terms and conditions of approved use of the property and shooting range facilities. All memberships run from January 1 until December 31. Memberships, purchased in October, November or December, are in effect until December 31 of the following year. New members purchasing their memberships prior to an Annual General meeting, but not before October 1, are entitled to vote at the AGM of the current year and the succeeding year.